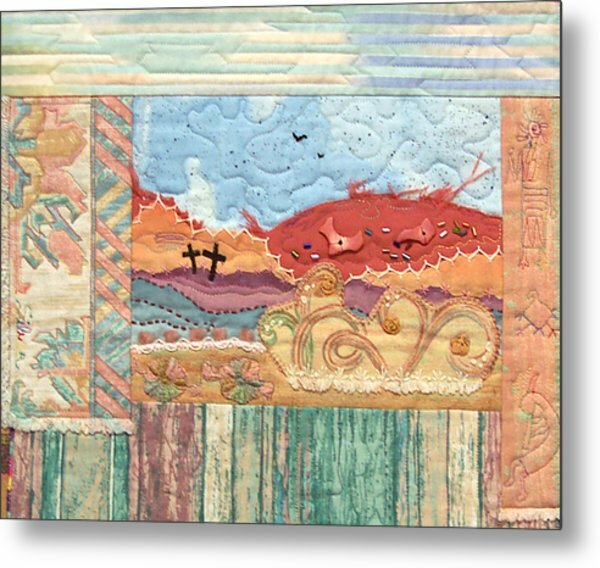 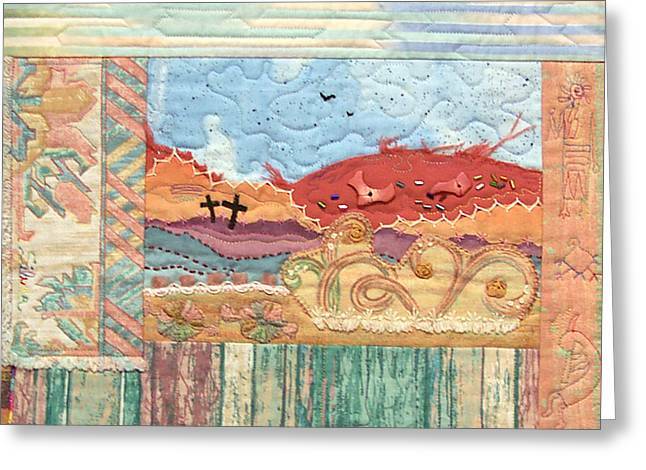 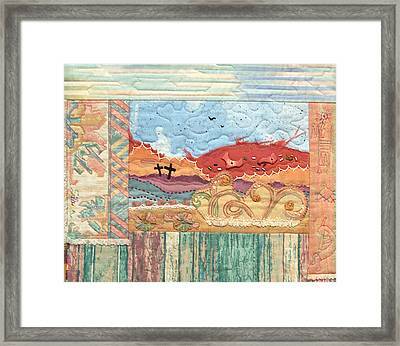 New Mexican Lanscape is a tapestry - textile by MtnWoman Silver which was uploaded on August 30th, 2010. 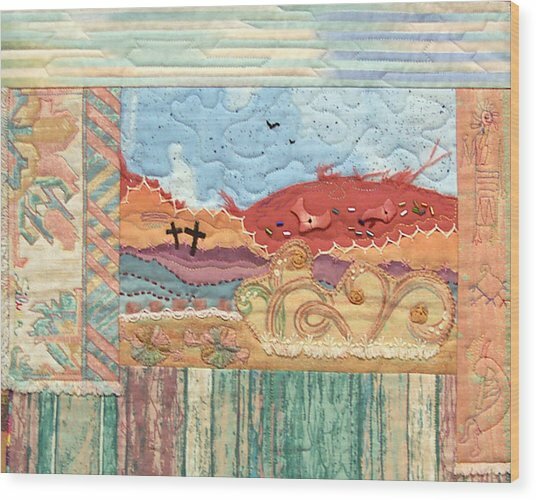 This quilt is small but explores my love of the southwestern United States, especially New Mexico. 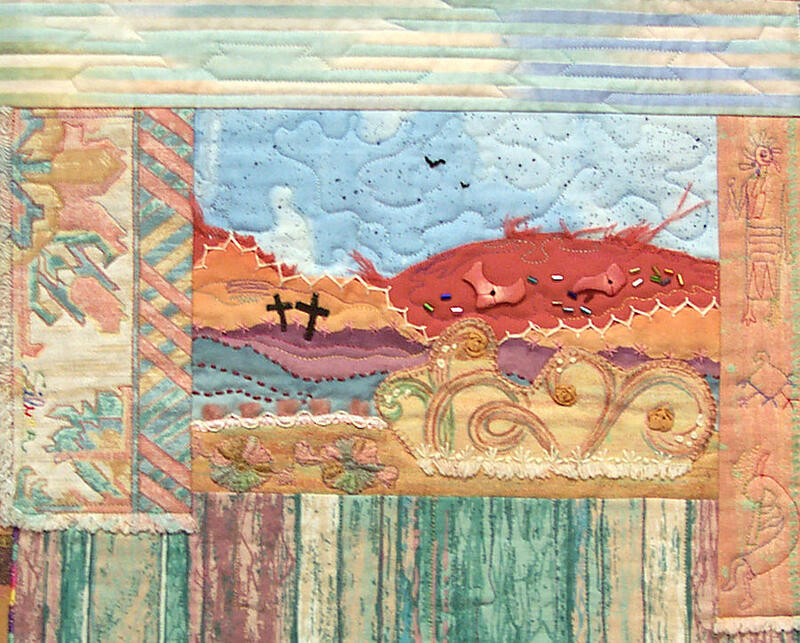 I used cotton fabrics including upholstery fabrics, beads, and embroidery thread. I love the folksy feeling to this quilt. I love this area of the United States, and this is a delicate and sensitive response to the landscape and culture there.